As you think about embarking on a new mentoring relationship, you may feel nervous and unsure about some aspects of this new friendship. You’re not alone! Even experienced mentors will encounter bumps in the road, and nobody has all the answers. Your mentoring program may have several resources to help you make introductions, plan activities, and handle conflicts. Below are several common questions that arise in mentoring programs, but be sure to seek additional information from the staff at your program. Won’t young people and their parents be leery of a stranger like me trying to be their friend? It’s possible. And of course, many young people are taught to beware of all strangers. But remember, nobody expects you to burst into someone’s home and announce, “Here I am, your brand-new friend!” Just as you would in any friendship, you’ll need to spend some time earning trust. 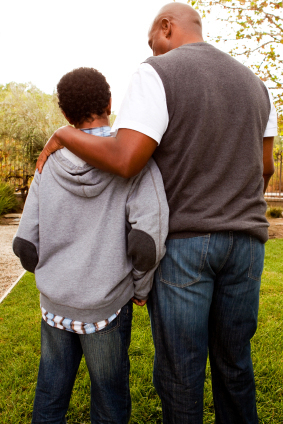 Your mentoring program probably has guidelines about spending time with mentees and communication with their families. Ask a staff person for help in starting the relationship off on the right foot. Mentoring relationships that receive family support have an even greater chance of being successful. Young people’s problems are so complex. What can I possibly do? Remember, you have an impact on young people even if you don’t interact with them through role modeling, for example, but you’re more likely to have a positive impact if you try to be a positive influence. Many young people are lonely and could benefit from the friendship of a caring adult. In one study by the World Health Organization during the 1997-1998 school year, nearly 20 percent of 15-year olds in the United States reported feeling lonely. And think about it for a minute, put yourself in a young person’s shoes. Even if you were a teen who was coping with depression, substance abuse, or an eating disorder and even if you saw a number of specialists for these problems, you would still need adult friends in your life, right? You would still need people with whom you could share ideas, go to a movie, laugh over an embarrassing moment, or talk with about future plans. So, try not to think of yourself as a problem fixer. Although you may have more life experience than a young person’s peers, you can consider yourself a friend, that’s all and that’s plenty. Young people and I are so different from each other. How can we be friends? If you feel intimidated by the “cultural” gaps in the modern world; differences that arise from race, age, generation, language, ability, education level and wealth, imagine what it’s like for someone who’s barely into her or his second decade of life. Remember that you and your mentee are strangers to one another at first; he or she may be feeling a little awkward or uncomfortable, too. But if you take a second look at the situation, maybe you’ll be comforted by the idea that discomfort is something you and your mentee have in common. Realize that you’re both starting from the same place, but as an adult you have the benefit of a few extra years of experience, and maybe more confidence. Look beyond the surface. Allow yourself to be curious and to learn. Don’t think you have to be an expert in the latest music, slang, clothes, or piercing trends to make a connection with a young person. In fact, that’s not what most young people want; they want you to be a grown-up, but a grown-up who connects with them. You don’t have to be the same as one another; but as you explore similarities and differences, your mutual understanding will fill the gaps and form a friendship bond that lasts. I’m not exactly “cool”. What if my mentee doesn’t like me? Don’t worry. Most young people don’t expect you to be cool, and they can like you without being like you. What’s more important to them is that you be authentic. They’d much rather you be yourself, complete with all your quirks and imperfections, than keep your distance for fear of being thought uncool. If you can show sincere interest in young people as unique human beings with gifts to be discovered, as people who deserve to be respected and supported, that’s really all it takes. You’ll be surprised how fast you connect with you mentee when you genuinely take an interest in who they are. What if my mentee won’t talk to me? Shyness is especially common at the beginning of a relationship, but even prolonged silence is not necessarily an indication that you’re not connecting. Some young people will simply enjoy your company without saying much about it. Silence is okay, and you might learn to feel more comfortable with it if you discover that your mentee is just a quiet person. When you begin talking with your mentee, try to avoid bombarding her or him with lots of questions that require a yes or no response. Instead, use open-ended questions and share anecdotes about your own feelings and experiences. By stopping to ask, “Can you think of anything that made you feel the same way?” or “Do you have any advice for me?” you can build trust and identify similarities between the two of you. Mentors are not perfect. Just like any other human being, you may find yourself saying something embarrassing, hurtful, or even offensive to your mentee. When you realize that you’ve made a mistake, you can use the opportunity to model humility. Offer a heartfelt apology. Admit you were wrong. You may be the first adult who has ever shown your young friend this type of respect by asking for forgiveness. Seeing adults handle problems and take responsibility can help youth develop their own positive conflict resolution skills. What kinds of things will my mentee and I do together? Mentoring programs vary widely. You may be participating in a one-on-one mentoring program that meets in a school cafeteria, a group mentoring program organized by a juvenile justice organization, or an informal mentoring club started by a congregation. Depending on the location and boundaries set by your specific program, you may have preplanned activities or a range of options. Talk with program staff to learn which activities are appropriate in your setting. You and your mentee may do homework assignments, or you may conduct service projects for a local charity, or you may play card games, or you may occasionally just run errands together. The important thing is not what you do, but how you do it. Make it clear that friendship and learning more about each other are the main goals.